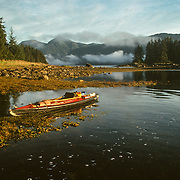 For my first few years in Alaska I had the luxury of our sailboat, Avalon, with my kayak on the deck and the company of my Alaskan partner, Anne. 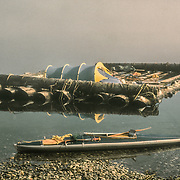 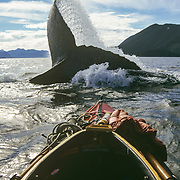 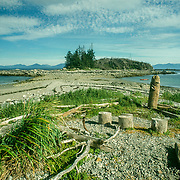 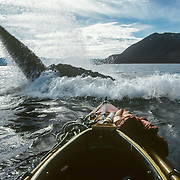 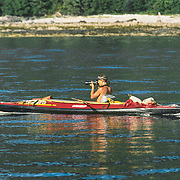 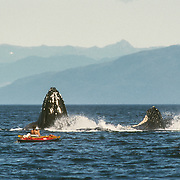 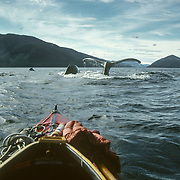 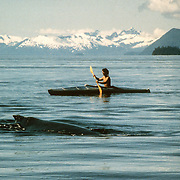 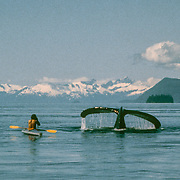 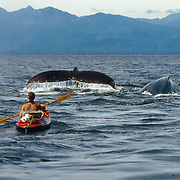 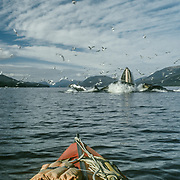 I could go exploring or kayak with the whales, but always had the shelter of the “mother ship” to return to. 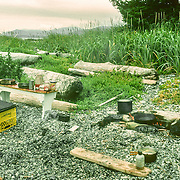 It had a little wood stove to dry my gear and cook meals on. 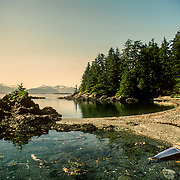 But Anne and I separated after being together for six years, and as we also had a little old sailboat in England called Imogen, I kept that one and she kept Avalon. 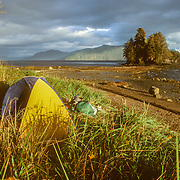 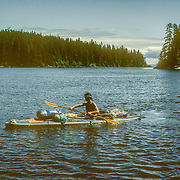 From then on it was back to basics, and I continued my solo exploration of Southeast Alaska and interaction with the wildlife by kayak alone, and camping out for months at a time. 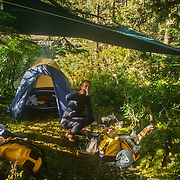 Actually it was the best way to progress because it was conducive to a more intimate relationship with the environment and interaction with the wildlife. 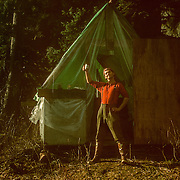 It also inspired more resilience and resourcefulness through an atavistic absorption of the natural energy around me. 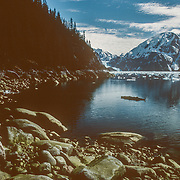 Every year I was chomping at the bit to return to Southeast Alaska for another extended sojourn in the heart of the amazing Alaskan wilderness. 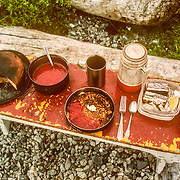 I thrived on the detailed preparations for a trip; there was always so much to remember to prepare myself for being virtually self-sufficient for several months alone. 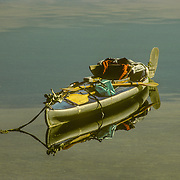 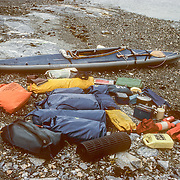 Loading up all my gear and provisions in the limited space of my kayak was always challenging, and required a very methodical approach to fit everything in like pieces of a jigsaw. 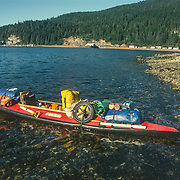 I knew what dried provisions to take that would take up the least amount of space in my kayak, and what fresh produce could be taken and preserved for long enough, usually by being hung up in the trees in mesh bags. 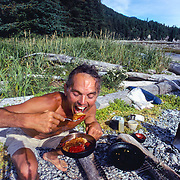 I supplemented my provisions with a lot of wild food such as berries, fungi and various wild plants that I learnt to use. 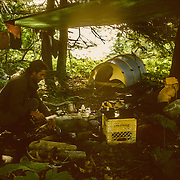 Once I left town my life became stripped down to the basics of daily survival: foraging for food, water and firewood; securing my campsites and ensuring that precautions against bears and other scavenging wildlife were always observed.